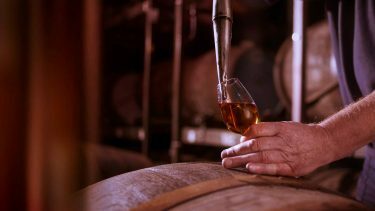 From centuries-old legends to the most up-to-date and cutting-edge, Scotland’s whisky producers continue to create flavours that captivate the world. More recently, craft gins have taken off in a big way, often the result of very local initiatives. This week-long gin and whisky touring trip combines the best of both spirits along the West Coast and Scottish islands. 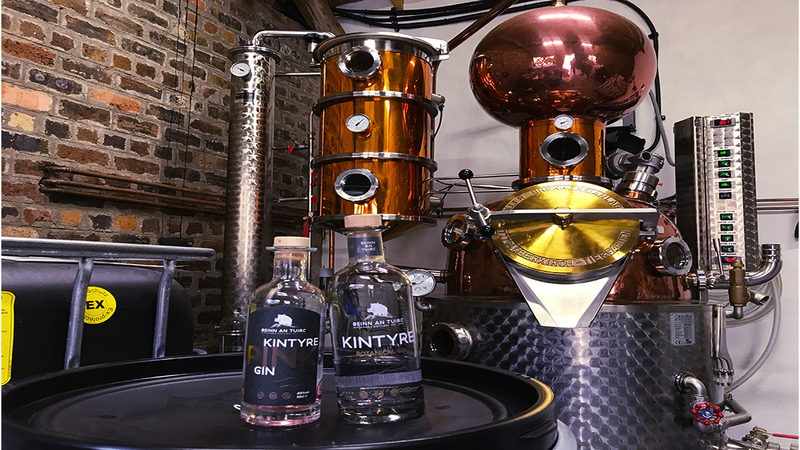 You’ll enjoy relaxed visits as well as private tours and tastings at some of our favourite distilleries, from Kintyre to Islay and all the way to the Isle of Skye. 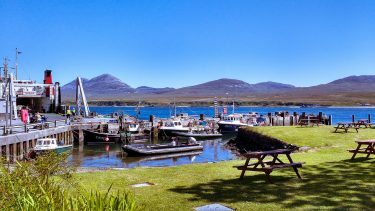 While many of the tours and tastings are planned to be within walking or taxi distance, on days in between, you’ll enjoy exhilarating driving routes, evocative ferry-crossings and welcoming accommodation. 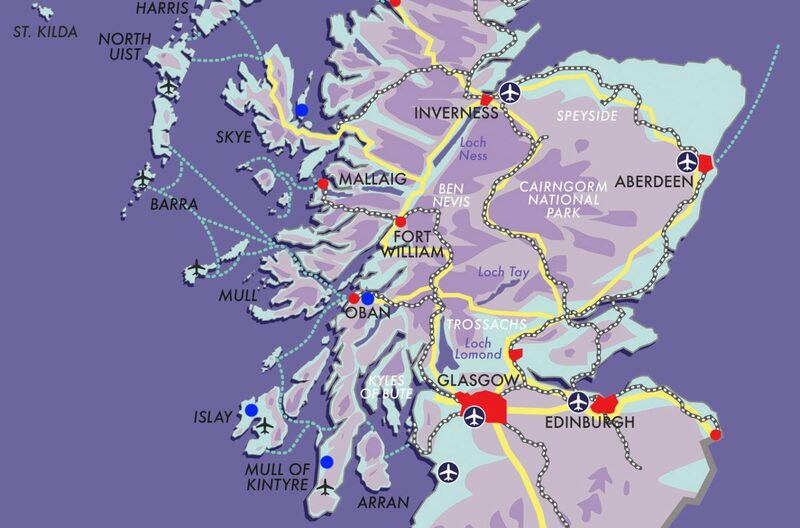 Of course, this itinerary is but a suggestion -if you have particular favourites on your gin or whisky touring list, please enquire via our tailor-made service. 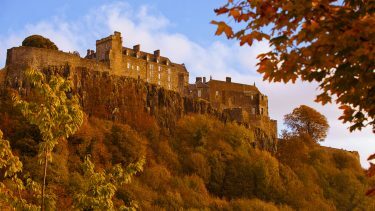 add an extra night and stay in a sumptuous castle? Reached from Glasgow via one of the country’s finest and most scenic routes, taking in the banks of Loch Lomond, eerie Loch Long, the Rest and Be Thankful pass and spectacular Loch Fyne, the Kintyre peninsula has an end-of-the-earth feel, with the Antrim Coast and Northern Ireland just a stone’s throw away across the water. Recently restored, this historic harbour front hotel is an imposing building overlooking Campbeltown Loch itself – that’s the one made famous in song by Andy Stewart, who wished it were whisky! As well as a fine Scottish restaurant, the Black Sheep pub is a welcoming meeting place. 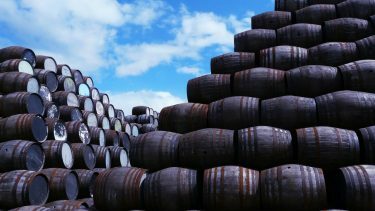 Campbeltown was once the Scotch whisky capital of the world – until prohibition, taxes and greed brought it all crashing down. You can still see the remnants of the town’s distilling history at virtually every turn. 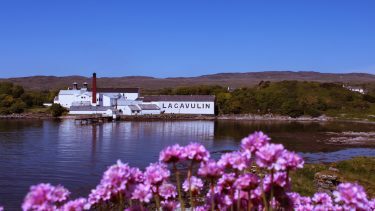 A handful of local producers have gradually restored its reputation and today you can discover more as your holiday begins in earnest, with two distillery visits. The first, Torrisdale, is home to the rather excellent Kintyre gin. 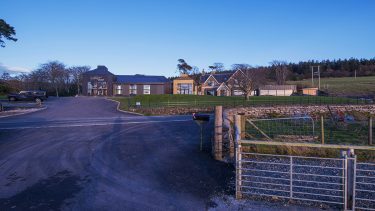 Within 30 minutes’ drive – taxis are readily available and hotel staff will be happy to arrange if you wish – the setting here is quite something, and guests are welcome to stroll the mile-long private walk through the estate or to wander the estate’s very own stretch of beach, before or after the tour of this bijou establishment. Your second distillery visit is to Glen Scotia, within a few-hundred yards of your hotel. Founded in 1832, this is one of Scotland’s smallest distilleries, producing double-cask, 15-year-old and Victoriana expressions. You’re in for a treat during a ‘Manager’s Tour and Tasting,’ with a range of drams to be enjoyed in the manager’s office at tour’s end. 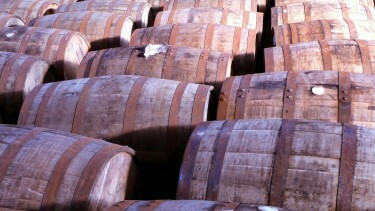 If you wish, you could also squeeze in a trip to Springbank, Campbeltown’s most famous tipple. 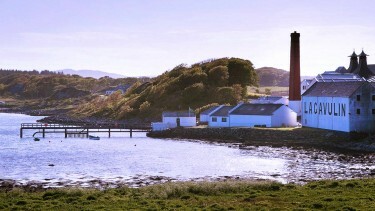 It’s just a short drive from Campbeltown to Kennacraig, where you’ll catch your first ferry of this tour, to the legendary Whisky Island of Islay (pron: ‘Isle-ah’). Arriving at either Port Ellen or Port Askaig, it’s no more than a 30 minutes or so drive to your base in the heart of the island. Renowned as one of the most welcoming spots on Islay, your hotel here has been established around 150 years and offers simple, comfortable, family owned accommodation, where guests are made to feel at home immediately upon arrival. Two bars – each with a fine collection of whiskies and gins, naturally – and an excellent restaurant serving the very best local game, seafood and produce add up to a terrific base for your visit. No need at all to drive today. 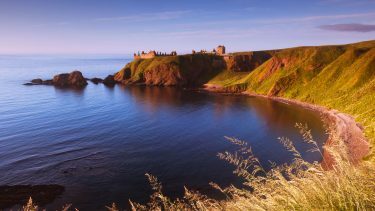 After a leisurely breakfast you’ll be collected by our specially chosen local driver-guide and whisked away for a full day out on the island, including visits to two of its most appealing distilleries. 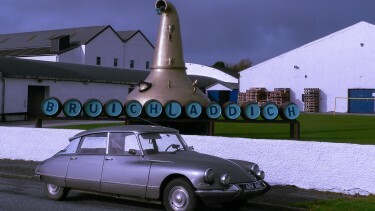 Bruichladdich has a reputation as something of a maverick, and is home to the Botanist, Islay’s only gin. You’ll learn how its 22 hand-foraged local island botanicals come together in this unique spirit, with unhurried tastings along the way. Next, make your way to Kilchoman, Islay’s only family owned independent ‘farmhouse’ distillery, and the first new distillery to be built on Islay in 124 years. Here you’ll discover the once lost art of farm distilling, where their superb single malt is created entirely on-site, from barley to bottle. Along the way, your driver-guide will give you a flavour of the deep local understanding of Islay, its history, geology and wildlife. 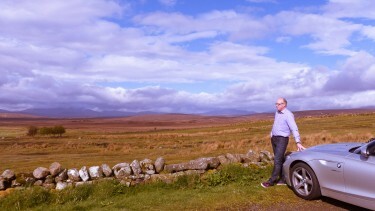 Of course, if there are any other Islay distilleries you would particularly like to visit, please just let us know. Wave goodbye to Islay and make the return crossing to Kennacraig, enjoying views to Jura and Kintyre as you sail. From here, take another of Scotland’s terrific driving routes, through deeply historic Kilmartin Glen and follow the road as it snakes and slithers along the picturesque Argyllshire coast, to ‘Scotland’s Seafood Capital’ of Oban. You’ll arrive in plenty of time to explore this classic Argyll fishing port and maybe even take a tour of Oban distillery, within easy walking-distance of your accommodation. Set on the hill overlooking town, your family owned guesthouse in Oban is a welcoming and comfortable property, an imposing Victorian residence. Your hosts are only too keen to help you make the most of your stay, passionate as they are about Oban and all it has to offer. 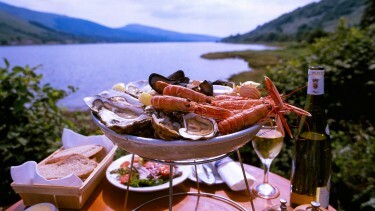 Yet another of Scotland’s finest driving routes awaits this morning, after a beautifully prepared breakfast, of course. Head away from Oban, hugging the coast of Loch Linnhe with views of the Isle of Lismore, northwards to Fort William, nestling at the base of Ben Nevis. From here, take the Road to the Isles all the way to Mallaig for your first ferry of the day, carrying you over the sea to the most famous Isle of Skye. 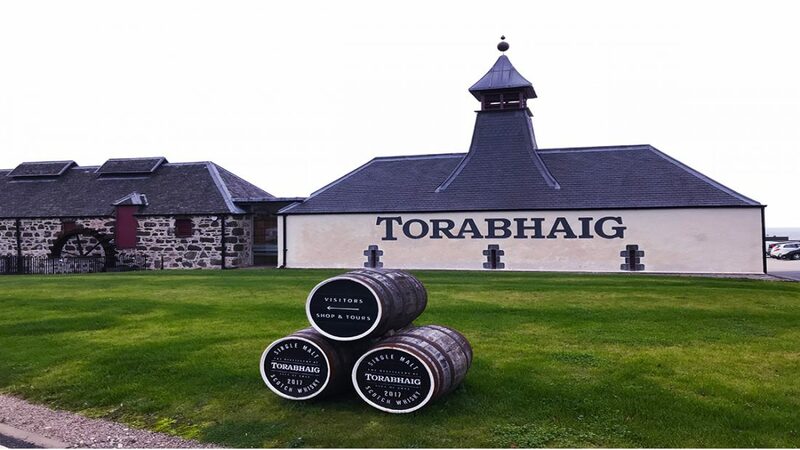 Once on the island, it’s just a few minutes’ drive to one of Scotland’s newest distilleries, at Torabhaig, where you’ll enjoy a tour of this impressive facility, hosted by friendly and knowledgeable staff. Takeaway drams are offered for drivers to enjoy later. 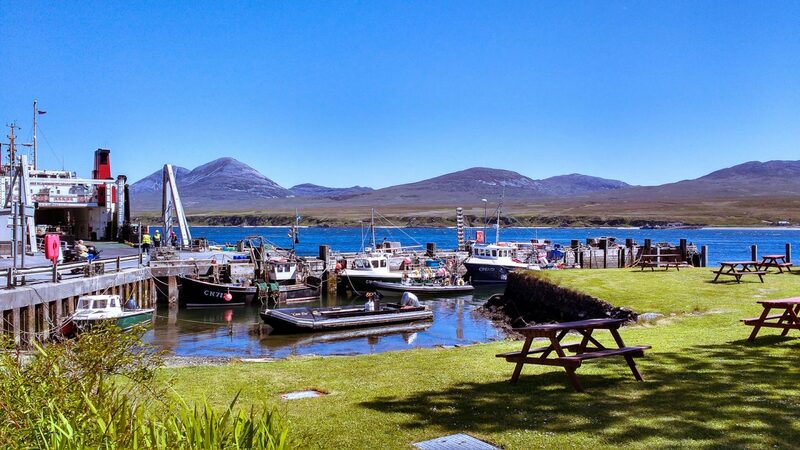 Travel on through the Sleat peninsula to catch the ferry for the short crossing to the Isle of Raasay, where you’re in for a real treat to round off your gin and whisky touring holiday. What better way to top off your trip than with a two-night stay in the most comfortable accommodation at Scotland’s newest island distillery? 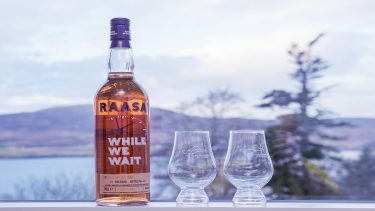 Raasay Distillery has been created from the shell of a once-derelict Victorian building, almost lost to the elements just a few short years ago. Now, the island’s first legal(!) distillery is up and running and offers some of the most appealing bed and breakfast accommodation available, with the stills operating directly below your feet. Of course, while here, you’ll enjoy a tour of the distillery, with tastings of an early expression of the spirit that won’t make the shelves until 2020. Set between Skye and the Applecross peninsula, the Isle of Raasay, while relatively tiny, is host to a diversity of geology way beyond its size. 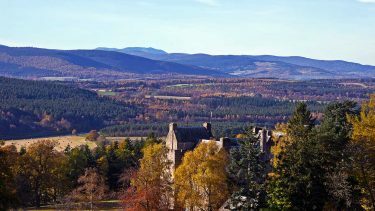 Thick forest, rolling hills and often-deserted beaches make up just some of the attractions here, while its fascinating history includes the story of Calum’s road – singlehandedly built by the postman – and the lives of Queen Victoria’s piper John McKay, and the poet Sorley MacLean. With a backdrop of the Skye Cuillins to the west and Torridon to the east, Raasay punches several leagues above its weight as one of Scotland’s most appealing islands. Take your final ferry-crossing back to Skye, then brace yourself for more breath-taking scenery as you cross the Skye Bridge back to the mainland. From here, you’ll traverse expansive Glengarry and the intimidating valley of Glencoe on your way back towards Glasgow and the south, armed with greater knowledge of Scotland’s gin and whisky heritage – plus a few souvenir bottles, we imagine! 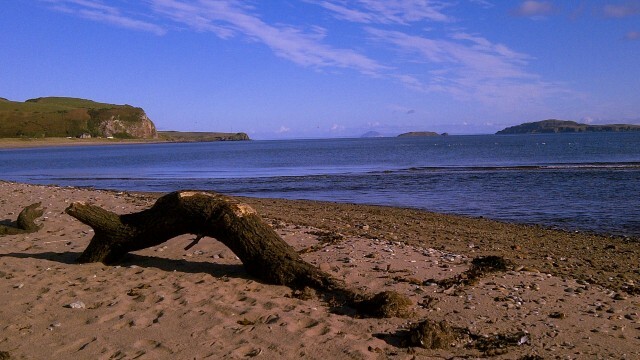 This multi-centre holiday includes time in Kintyre, Islay, Oban and the Isle of Raasay. £1295 per person in March and November, £1325 per person in April and October, £1425 per person from May to September. 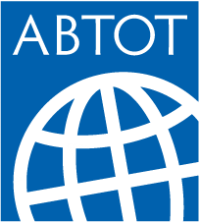 Price is based on two people sharing a double or twin room for seven nights on a B&B basis. This price also includes tours/visits of six distilleries, a day’s private taxi tour on Islay and return ferry crossings for car and passengers as described. Additional distillery visits are available, POA.